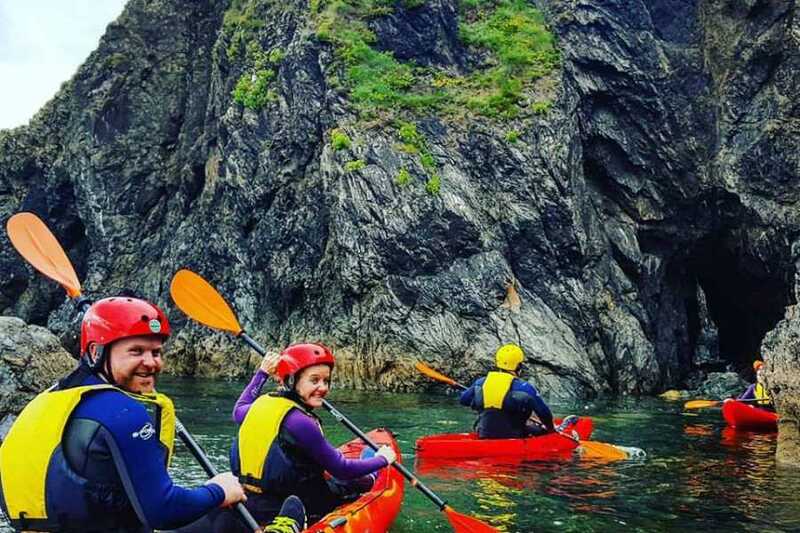 Hook Head Adventures offers you an amazing Sea Cave Kayaking Experience along the visually stunning South East coastline of Ireland, taking in the very best Atlantic Ocean location of Ireland's Ancient East. Sea Cave Kayaking is a truly unique and exhilarating way to explore this magical coastline. The visually stunning natural area around The Hook Peninsula in County Wexford is steeped in jaw dropping historical stories with a rich heritage and diverse wildlife, all of which you will enjoy during this unique experience. The Hook Peninsula is a beautiful outcrop of land off the south east coast of Ireland with a diverse coastline of magnificent sandy beaches, rugged rocky cliffs, sea caves and many hidden secrets to explore by kayak. The peninsula is also home to the the oldest operational lighthouse in the world. This magical Atlantic location holds many other secrets too which will be shared with you as part of your Sea Kayaking Experience. This area is steeped in history and tales of destruction which you will relive with us. Today it is one of the most beautiful and truly peaceful yet wild areas of the Atlantic coast to visit in Ireland. We'll find a hidden beach to land and re-energise you with a mid-tour hot drink & snack included!